Between being a wife, mother, sister, musician, and music teacher, Erin (Bates) Paine is busy, but she she loves her hectic life. These new photos of the Paines may just melt your heart. Carson Paine is two years and five months, while Brooklyn Paine is almost 14 months (just two months younger than Carson was when Brooklyn was born). Oh my hear is melting! What sweet pictures! Erin is such a wonderful mother! A beautiful family,God Bless them. Her kids look just like her & Chad. They are so precious and getting big!What a wonderful family!God bless! I keep wondering if there will be a pregnancy announcement from the Bates anytime soon. Erin doesn't look very pregnant, though. Why do people keep pressuring these young women about pregnancies? Erin had a rough journey to have the two beautiful and healthy children she has. I seem to remember her saying to the Dr after Brooklyn was born that she was two of two so maybe they won't have anymore, and if they do I am sure they would be happy to share the news, but until then people need to learn to show some respect by just leaving the subject alone. Anon @ 11:32 I dont think Whitney will have another one for a while at least, especially as she has just started a new job. It would be lovely news to hear from Michael. 7:20- Is it important to you that there be a pregnancy announcement? I don't spend time wondering about other people's reproduction schedule, or lack of one. The quintessence of a lovely married couple and family. It was a rough road, but they traveled it with grace and love of Christ. I wish them a long happy life together. How is Brooklyn's hand/finger healing? The pictures are adorable. Brooklyn hair is so cute blond. 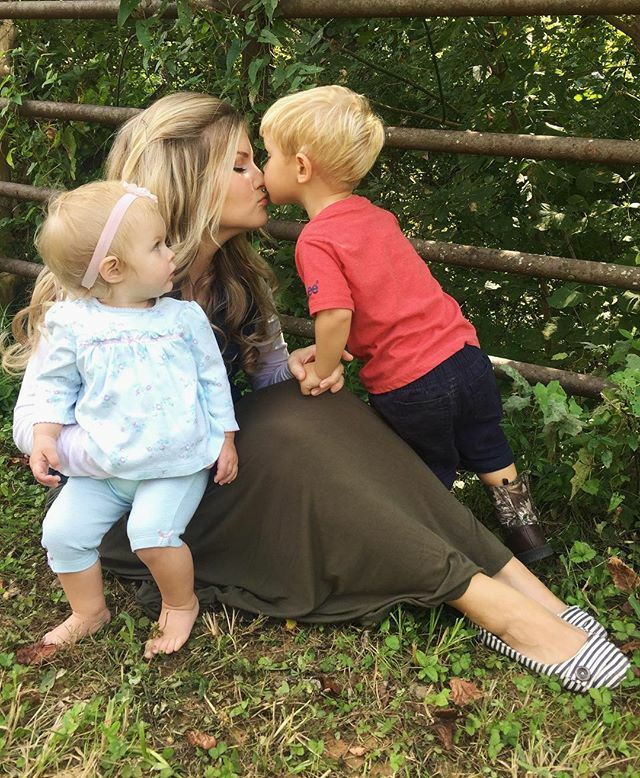 I like the picture of Erin give a kiss to Carson and Brooklyn looking on. What a precious family. God bless. I don't anticipate us hearing any pregnancy announcements anytime soon, unless Michaela is able to conceive. Whitney just started a new job, so it seems likely that they will wait a while before having another baby. Erin had so much trouble with her pregnancies that I don't feel like she will be in any hurry to get pregnant again. Plus she posts about how busy she is too. 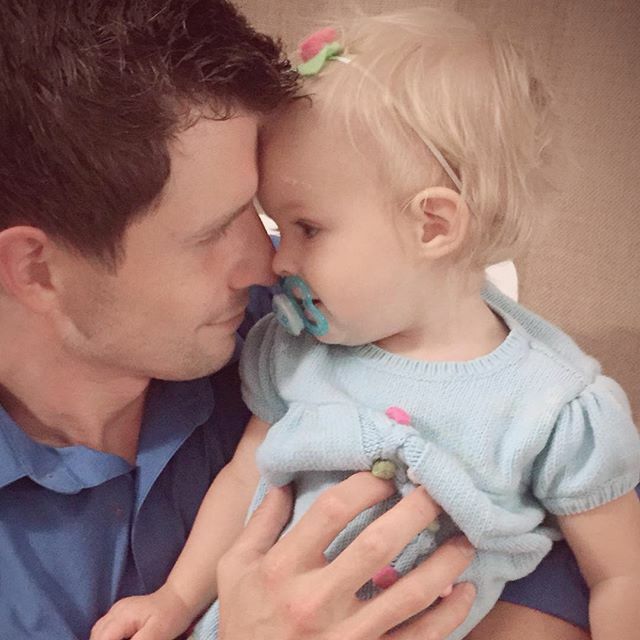 Alyssa has said that they plan to wait a while before they have another baby. I could be wrong, but Tori does not strike me as someone who would want to have a baby right away. Carlin is not engaged yet, so I don't anticipate her getting married for at least another year or so. None of the older boys seem to be in a place where they would get married soon. So, there you have my thoughts on the baby situation!